Many revolver shooters, including yours truly, carry ammunition on some variation of reloading strip. Today I want to discuss my opinions on the ins, the outs, and the what-have-yous of the Speed Strip revolver reload. You may have noticed that I capitalize “Speed Strip” as if it were a proper noun. In fact, it is, because Speed Strip is Bianchi’s trade name for their proprietary loading strip, and Bianchi is the first company to make such a strip, beginning sometime around 1970. Though this phrase is sometimes used generically, I would like to draw this distinction because there are competing reload strips on the market about which I have some strong opinions: I greatly prefer the Bianchi model. The Bianchi versions are made of a softer, more pliable material than the Tuff Products version, the QuickStrip. Nearly every QuickStrip I have used has become cracked due to the bending that occurs during normal use. Because they are harder, these strips are also more difficult to load rounds into, which eats up more of my dry- or live-fire practice time. I have also seen the tabs break off the ends of the QuickStrip variants. And, over time the QuickStrips have a tendency to develop a dramatic and undesired curvature. 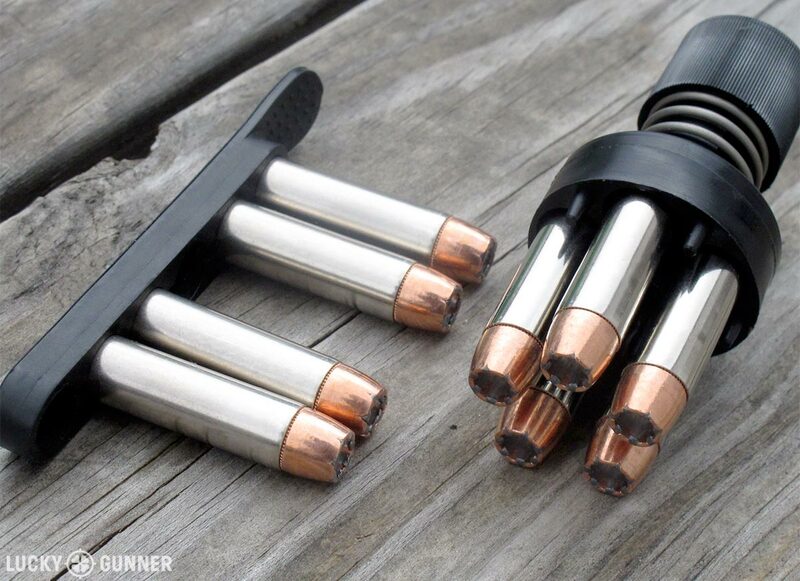 Plenty of other revolver guys prefer the QuickStrips, but we’ll just have to agree to disagree. 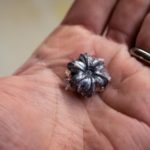 The difference in opinion stems from two perceived advantages of QuickStrips: they are available in 7 and 8-shot versions, and they are available for calibers other than .38/.357. 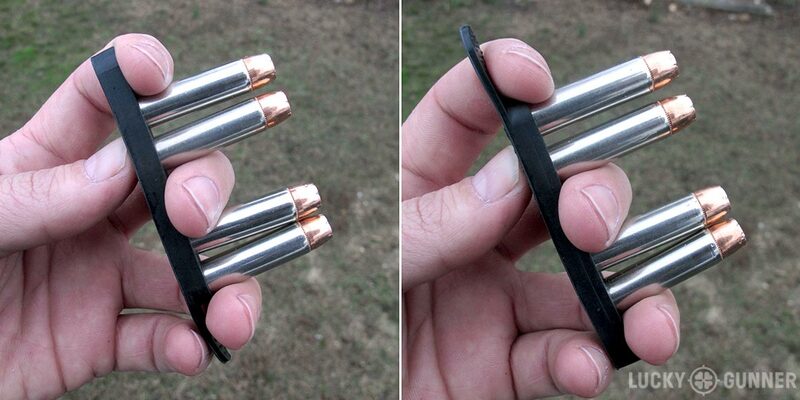 If you are carrying a revolver in another caliber, then QuickStrips might be your only choice. Otherwise I don’t see the huge benefit of “high-capacity” reloading strips, as will be explained shortly. Though it often gets overlooked, DeSantis also offers a reloading strip called the Swift Strip. I actually happen to like this loader. I have far less experience with it than the others, but Kimber K6s owners are familiar with it since Kimber includes one in the box with every revolver. It is not uncommon for the Tuff Products QuickStrip to develop a crack after a moderate amount of use. I carry a five-round J-Frame, but the Speed Strip that I carry is only loaded with four cartridges. They are in the following configuration, starting at the tabbed end: two rounds, empty space, two rounds, empty space. The first reason for this is that the loader is now directionally agnostic. Regardless of which way I pick it up, I have something to grasp on each end, a space in the middle, and two sets of two cartridges. Though I always place it in my pocket the exact same way for repeatable indexing, if something goes wrong (I fumble it, drop it, or have to retrieve it with the other hand) and it ends up the “wrong way”, it still works exactly the same. Even if I use a longer 7- or 8-round strip loaded with five rounds, it will become directional because one end will contain a single round (assuming I am setting it up for a five-shot gun). That is not the end I want to come up with when I need to reload. I initially began loading my speedloaders with four rounds based on the advice of Michael de Bethencourt. Mr. de Bethencourt is one of the foremost experts in the defensive application of the snubnose revolver. He has reported that through numerous timed trials, a point of diminishing returns is reached when loading the fifth round. 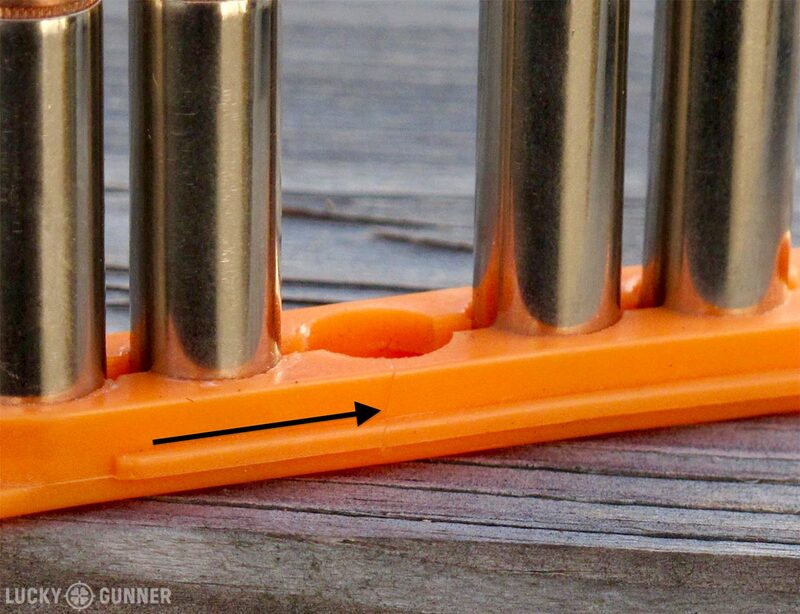 When you are loading the first two rounds, you have five combinations of empty charge holes from which to choose. When loading the second two, you have three empty holes to hit. But when loading that fifth round, you have a single cartridge and single charge hole to align with each other and it takes more time than it’s worth. Finally, I like having each set of two rounds on the strip separated by a distinct space. This allows me to visually and tactilely focus only on the two I am attempting to get into the gun. It also eliminates the chance of a third round on the strip interacting the with the cylinder in some way and slowing the reload. Finally, (and maybe most importantly), it lets me get a middle finger on the Speed Strip. I have found this helps control the strip better than pinching its edges between the fingers using the “scalpel grip” and it makes for a more controlled separation of the strip and cartridge rims. Because I only plan to attempt reloading four rounds from the Speed Strip anyway, I don’t want a fifth (or sixth or seventh or eighth) cartridge on there getting in the way. If you want additional rounds, I recommend simply carrying another Speed Strip. And though this is a purely practical consideration that may not apply to all of you, the six-round strip fits nearly perfectly in the back pocket of all of my pants, reducing the risk of it becoming inverted. The longer 7- and 8-round strips would be too long to sit in the same orientation. Note that the Speed Strip is not the only, or even the primary, reload I typically carry, but if you are using Speed Strips exclusively, I believe it’s best to carry at least two. The Speed Strip revolver reload is a fairly intuitive affair. 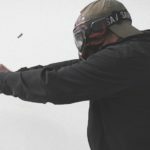 It will be largely informed by, and a variation of whatever reload technique you would use with a speedloader (check out this post for an intro to speedloader reloads). Eject the empties per your reloading SOP. I use the Universal Revolver Reload, so I open the cylinder, transition the gun to my left (support) hand, and slap the ejector rod with my right. Remove the strip from your pocket, being careful to index it correctly. Simultaneously, rotate the gun to a muzzle-down orientation. If you are holding the Speed Strip in your strong hand, you may have to roll the revolver to a cylinder-forward position to see the charge holes. Align the first two cartridges with any two adjacent charge holes. When they are sufficiently inserted, “peel” the Speed Strip up to strip them off and allow them to fall into the cylinder. Rotate the cylinder. Ideally you will rotate it opposite the direction it turns in the gun. For most revolvers, this means rotating the cylinder clockwise. This places those first two loaded rounds in line to be rotated into firing position, should circumstances dictate you abandon the reload, snap the cylinder shut, and get back into the fight immediately. Align the next two cartridges with any two empty, adjacent charge holes and press them in. Peel the strip away from the cartridge rims and allow the rounds to chamber and drop the strip. Close the cylinder, reacquire a firing grip, and press the gun back out if necessary. There are infinite variations on this theme. Some shooters prefer to reload with the weak hand while maintaining a grip with the firing hand. This technique may vary somewhat for left-handed shooters, as well. There are a couple of big takeaways in this data. First, Speed Strips should probably just be called “Strips”. They aren’t particularly speedy, even when everything goes right. With dedicated practice, reloading the gun from a speedloader is faster, involves fewer steps, and gets a full load back into the revolver. However, I also learned that if I must reload from a strip, getting four into the gun is the way to go. With an added 1.44 seconds to get that fifth round in, it’s probably not worth it. The partial revolver reload (load two only) is also about 1.37 seconds faster, but at the cost of two additional rounds in the gun. By comparison, reloads with a speedloader can seem lightning fast. I can typically pull off a speedloader reload in around 4 seconds. On a good day, when everything is going well I have gotten this down into the neighborhood of 3.5 seconds. 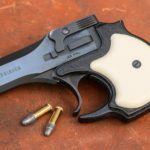 Obviously, there are many variables at play here – the speedloader you use, how you carry it, you revolver’s grips,, and even the cleanliness of your gun’s cylinders. And of course, there is also the human element – the more time I spend in dry-practice and on the range, the faster I am…but the same applies to Speed Strips. Even without practice, I can routinely turn out sub 5-second reloads with a speedloader, which is almost half the time it takes me to fully load the same gun with a Speed Strip. As a community, we have no problem telling semi-auto shooters they need to carry a spare magazine. For some reason, though, we collectively forgive revolver guys if they don’t feel like carrying the best possible reload for their defensive firearm. So I’ll say it: if you carry a revolver as your primary defensive firearm, you should also carry a speedloader, and you should probably carry it in a pouch that provides a reliable index. I wouldn’t tell you to throw your Glock magazine in a front pocket and expect a reliable, repeatable index or an exceptionally fast reload. I’m not going to do that with a revolver, where we’re already starting with two huge disadvantages: low capacity and complicated, multi-step reloads. Speedloaders still take practice, but they are faster and they are “all or nothing” — they get a full load into the gun no matter what. I know there is a deep divide among defensive shooters about whether or not you will even need a reload. There are statistics and averages that back up one side, and outliers and possibilities that buttress the other. I am not trying to start a comment war but I will say this: if, in the extremely unlikely event that you do need a reload, you probably need it to happen as quickly as possible – so I’ll always reach for the speedloader first. There are still some viable use-cases for Speed Strips, though. They are superb as a backup option to your speedloader, letting you have some ammunition on both sides of your body (this is how I utilize a Speed Strip). They may be the only option in a deep concealment role or if your revolver is doing backup duty. And if a Speed Strip is all you carry…at the end of the day, it’s a lot better than nothing.